So I’m gonna tell you all now that I am absolutely 100% certain that I have massively overspent this month, but to be honest I’m not hugely bothered about it because I just had such a spectacular month! I got back from Mauritius in early January and then went straight into working at Camp Blue for two weeks. Once those 2 weeks were over I headed off on a road trip with some friends up to Byron Bay and then the Gold Coast (which is where all my money went. We spent 10 days living it up, loving the beach life, having excellent nights out, doing a bit of shopping, splashing out on restaurants every night and generally have a pretty sweet time. It’s the first little bit of actual travelling I’ve done since arriving in Sydney so I didnt really mind spending all that money…it was totally worth it. Mauritius to Sydney (via Perth) – 5,718 miles. Sydney to Byron Bay – 484 miles. Byron Bay to Surfers Paradise – 59 miles. Transport Used: Plane, Car, Train, Skateboard. 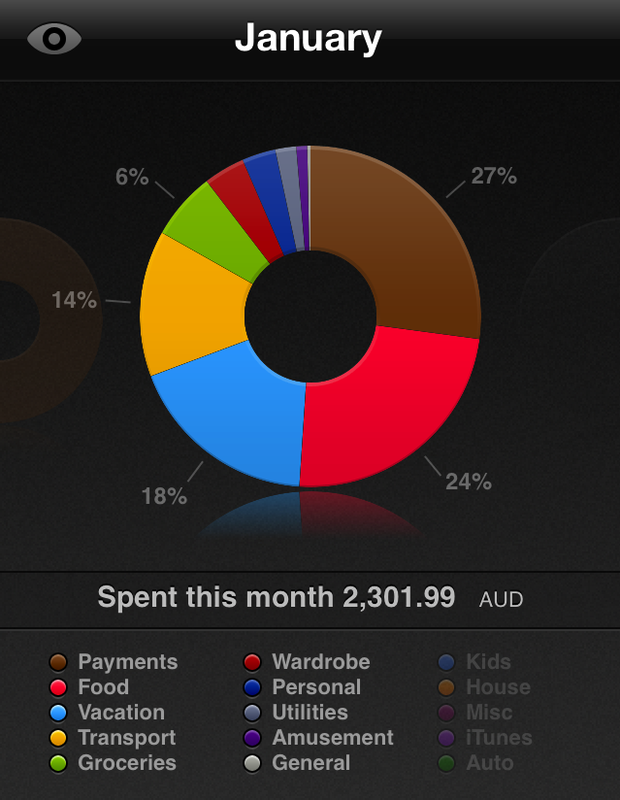 So yeah, hugely over my budget of $1200 (£640) per month (which I should probably increase as I don’t think Ive managed to stick to it once since arriving in Australia! ), but seeing as I was paying for accommodation, food and petrol as we made our way up the coast it’s not really surprising. I also still had to pay for rent in my apartment for the first 2 weeks of the month, and yes I did have a little splurge on a few wardrobe items too. I would say most of my money this month went on accommodation, food and drink while on our ‘holiday’ up the coast – we were paying on average $46 per night for accommodation (a mixture of hostels, hotels and motels), we ate out for EVERY meal (there were some pretty epic breakfasts), and spent a heap of alcohol almost every night – so it’s not really surprising that it all added up. Oh and I also paid for my flight to San Francisco in May – admittedly it was only just over $100 (oh the beauty of air miles), but still. So OK. January was an expensive month and, even though I was earning from my job at Camp Blue, my bank balance has definitely taken a serious hit. But on the plus side, I’m heading off to a remote farm in the middle of nowhere next week for 3 months where I’ll have practically $0 outgoings, so I should be able keep my monthly spending down and leave Australia in May with a least a little bit of a cushion! And finally getting my bond money back from my apartment will definitely help too.